Filed in Albums | Tags: FMR Records, Splint! Three years on from their very impressive debut album, Moro, published on the excellent Lampse, an imprint which has unfortunately been dormant for over three years now, Scandinavian experimental jazz quartet Splint! 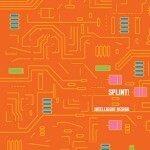 return with their second opus, Intelligent Design, released on UK-based label FMR. Splint! originally took shape in 2004 when Swedish bassist and keyboard player Johannes Lundberg gathered some of the finest talents in contemporary Scandinavian jazz, including fellow Swedish drummer and percussionist Jon Fält, trumpeter Gunnar Halle and guitarist Nils-Olav Johansen, both from neighbouring Norway. 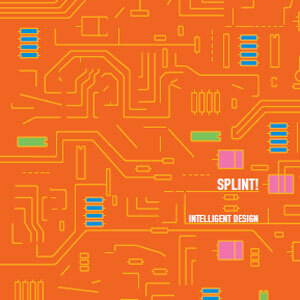 Like many of their contemporaries, Splint!’s main terrain of operation is improvisation. They work predominantly with acoustic instruments, which are then processed and augmented with electronics to create a widely contrasted set of tracks. The majority of the quartet’s pieces are atmospheric and largely impressionist, especially on the first half of the record, with delicate brushes of trumpet placed against stunning peaceful backdrops. The Solar Cell opens with a long section of blissful introspective soundscapes dominated by Halle’s trumpet, but as the track progresses, the mood changes considerably, and it is the guitar which then takes predominance and reign almost unchallenged over a particularly abrasive second half. The Lyre, which follows, is a much more peaceful dreamy piece, but later, Splint! introduce another layer of tension on The Thriller by placing dissonant components and unsettling noises to the front of the soundscape. The Serenade offers a moment of calm, but soon, the ensemble push into more angular and abstract territories. This is the case on The Radio, where Halle’s trumpet is caught in a rather deconstructed cloud of seemingly random noises and clocked by a resolutely irregular drum beat. The following piece, The Chaos Theory, while very different in tone, is equally unnerving and challenging. Here, the quartet build a somewhat increasingly harsh and abrasive piece as more layers of electronics and noise progressively swallow the initial melody. Earlier, The Fugue resonates with distant echoes of kosmische, but Splint! take a different path in the latter part of the piece as trumpet and guitar circle around a relentless arpeggio. The quartet expands momentarily to a quintet when singer Malin Dahlström, who operates under the Disdishdance moniker, contributes ethereal vocals on The Brick. The piece was originally recorded in instrumental form during a concert in Gothenburg two years ago, and was developed into song form at a much later stage. While electronics play an important part in the fabric of the song, what catches the attention is the subtle dialogue between trumpet and voice. At times, it is as if Halle and Dahlström tried to mimic each other, so close are they individual hues. Splint! undeniably made a lasting impression with their debut album, and this second album proves a confident and convincing step forward. With Intelligent Design, they have refined the formula that made its predecessor such a superb collection and dared pushing further into territories they only brushed upon before, making one of the most exciting jazz records heard this year.